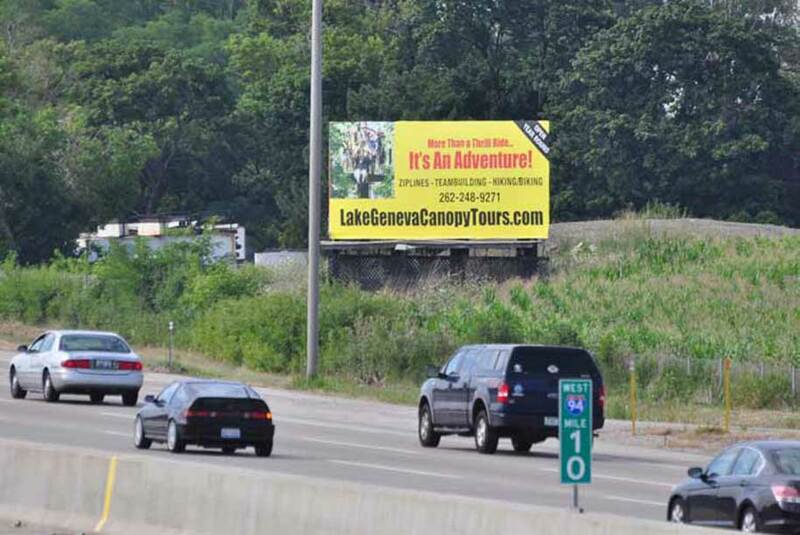 LOCATION 17: This display on I-294 (Tri-State Expressway) & Grand Avenue is the only sign between Rockland Road (Rt. 120) & Grand Ave. (Rt. 132). 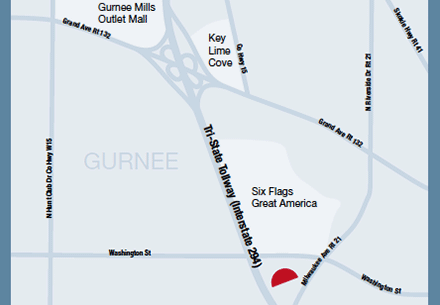 This major interchange is the exit for such landmark tourist attractions like Great America Amusement Park, Gurnee Mills Shopping Mall, Key Lime Cove Water Park & Hotel and Bass Pro Shops. Download Contact Sheet.